A chatroom in which the typography changes in response to the content of the conversation. 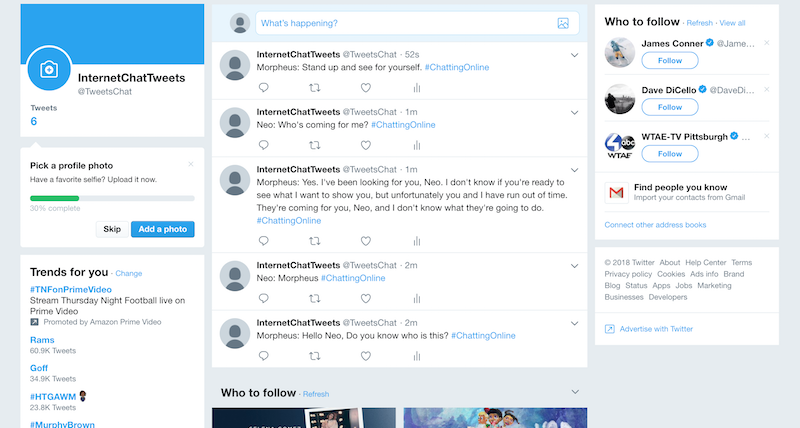 A chatroom in which messages are spoken by a speech synthesizer -- and broadcast to a dedicated Twitter account. An adaptation of Agar.io with modified, experimental rules. A chatroom in which messages are corrupted in proportion to their length. A game of "Telephone" (sometimes called "Chinese Whispers") for random people on the internet, with text, instead of audio. A game in which each player, represented by a single segment in a multi-segmented line, collaborates with other players to avoid obstacles and reach the target. Users compete or collaborate to either save or kill the bird(s). A "telekinetoscope" in which up to 9 participants can communicate through motion, computed from their optical flow. A kitchen chat room where participants are represented by chairs (a word sometimes used to describe a person who has no purpose). A collaborative drawing canvas, using trails. A "custom emoji creator" in the style of a collaborative dress-up game. "A chatroom for incoherent CB radio nonsense", in which messages are translated into trucker lingo. 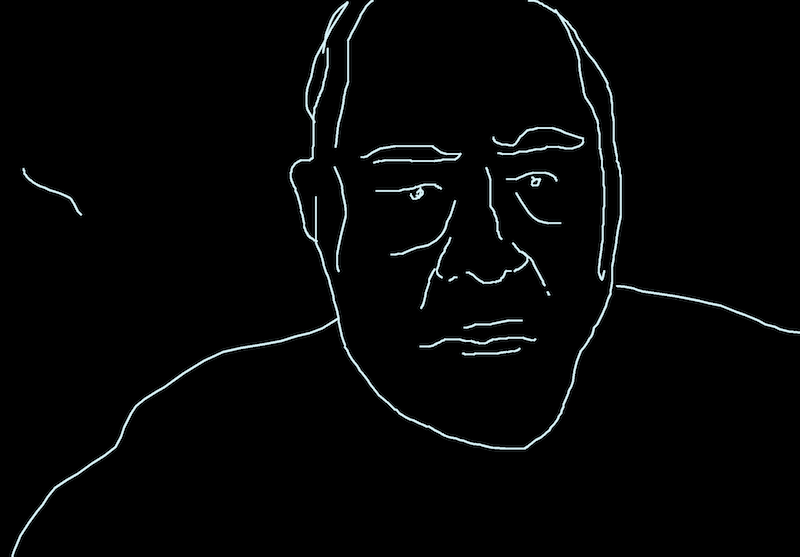 A collaborative drawing game in which users must not intersect the drawings of others. 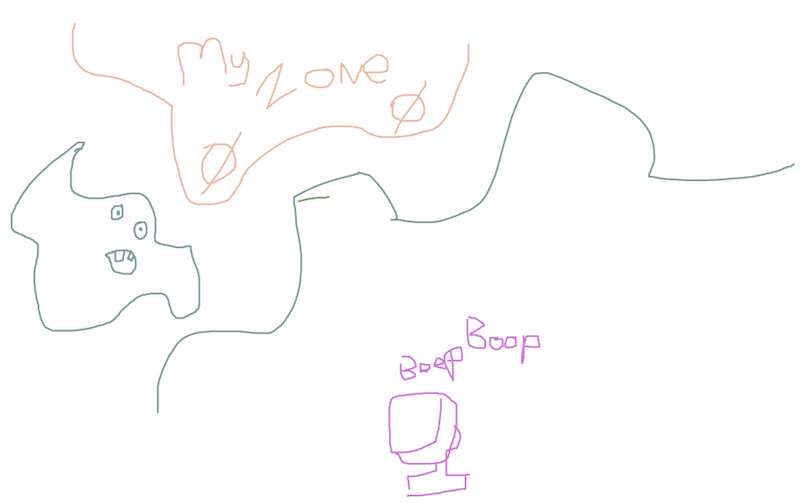 A multiplayer face-tracking game with a special surprise. A multi-user environment in which users sense each others' presence through their combined influence on a shared collection of particles. Collectively create a text based collage. A design for a collaborative bridge-building game. A simple interactive environment based on the idea of being together with someone even though you cannot see them. An interactive game in which players collaboratively tug a springy structure in order to reach their own individual targets.